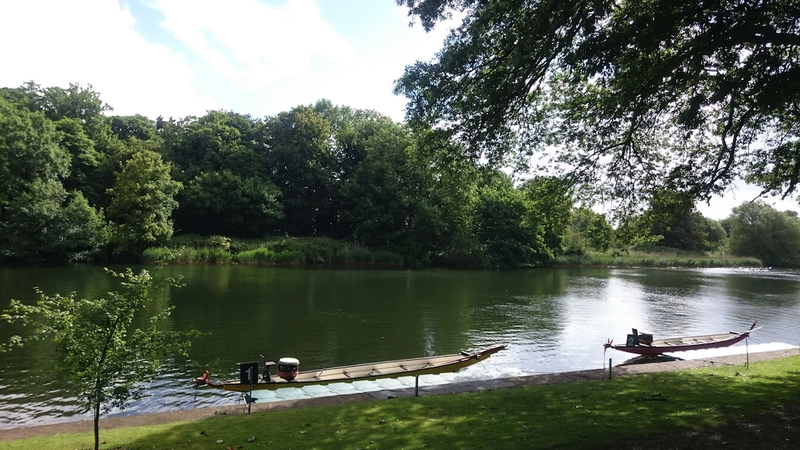 The venue for the event was the Oakley Court Hotel, Windsor, with the racing taking place over a short course on the River Thames. Each crew could consist of eleven people, ten ‘paddlers’ (not to be confused with rowers!) and one drummer who’s role is to sit at the front of the boat and beat out the time for the paddlers. For this event Grosvenor had decreed that each crew should have two over-fourties and two women. The Moxley crew, named Malice (the same as Mike Moxley’s yacht) was somewhat disadvantaged. Not only were we two members short, we had three over-sixties, three over-fourties and three women. Needless to say we didn’t do very well and were eliminated at the end of the group stage.